My middle son’s favorite treat is a milkshake. These fudge mint milkshakes have become one of his new favorites. They are so easy to make too. They are a great way to use up all of those Thin Mint cookies that you purchased from the Girl Scouts this year. Or if it isn’t Girl Scout cookie season, just pick up some Keebler Grasshopper cookies during your next trip to the grocery store. Either way, they make a great milkshake! 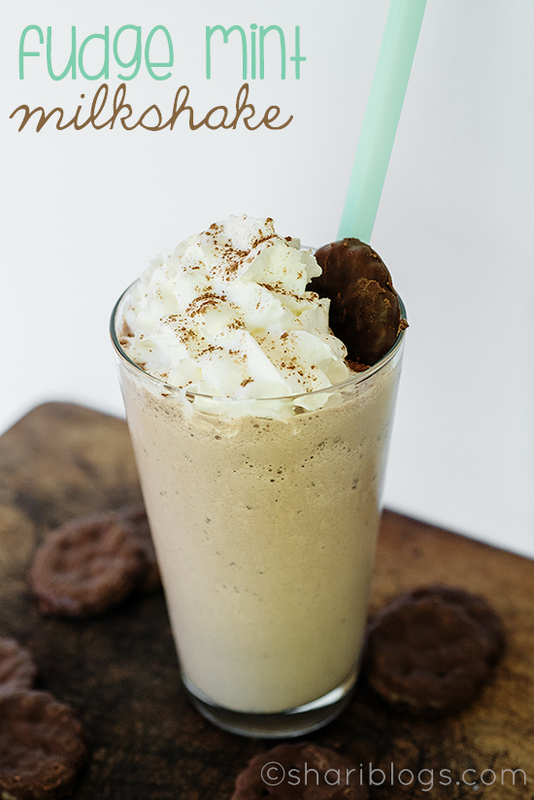 In a blender, mix together chocolate and vanilla ice cream, milk, and the thin mint cookies. Blend until ice cream is smooth and cookies are finely crushed. Pour into two glasses and top with whipped cream. Garnish with a cookie, if desired.